On October 31, 1517 Martin Luther (1483–1546) nailed his 95 theses on the door of All Saints castle church in Wittenberg. This gesture is usually viewed as the starting-point of the Reformation. Actually, it was like setting fire to a fuse: in a short while the revolt spread throughout a large part of Europe. Thomas Müntzer (c. 1489–1525), a radical Anabaptist, helped incite the Peasants’ War, which was then crushed by the German princes in the Battle of Frankenhausen in 1525. Afterwards, from Germany, the Lutheran reformation spread to the Scandinavian countries. In 1519 Ulrich Zwingli (1484–1531) introduced the Reformation in Switzerland with his lectures on the New Testament. However, his work suffered a serious setback when he was killed in the Battle of Kappel in 1531. John Calvin (1509–1564) met with much greater success. His Institutes of the Christian Religion (1536) is one of the most influential theological works of all time. In 1541 he settled in Geneva. From there his teaching eventually spread to France (Huguenots), to the Netherlands, to England (Puritans), to Scotland (Presbyterians) and to Hungary. In 1534 the Act of Supremacy broke the union of the English Church with Rome and in 1549 the Book of Common Prayer was made compulsory by the Act of Uniformity. The rapid spread of the Reformation in Europe clearly demonstrates that Luther’s gesture was no quirk of one solitary eccentric. Rather, it was the symptom of a widespread malaise which caused many people to feel the need of Church reform in capite et in membris (in the hierarchy and in the faithful at large). This need was felt throughout the centuries and was never satisfactorily attended to. The progressive decay at every level of Church life throughout the centuries must be attributed to a multiplicity of factors, to wit: clerical ignorance and immorality; laxity of religious orders; Church careers which were undertaken, not as a response to God’s call but as a pursuit of self-interest, either on a personal level (desire for gain, prestige, and power) or on a family level (need of keeping a patrimony intact); accumula-tion of benefices divorced from their respective Church offices and, therefore, conducive to widespread absenteeism; worldly lifestyle of churchmen who were more often living at courts than shepherding souls; the mixing of spiritual authority with temporal power which led popes, bishop-princes and abbots to entertain political, rather than spiritual, concerns; papal nepotism; the voracious fiscal policy of the Roman Curia, which alienated from the papacy vast areas of Christendom; secular governments’ interference which gravely limited Church’s freedom; the crisis in theology and the deterioration of preaching which resulted in an impoverished popular piety, ever more a prey of superstition. The very Renaissance, instead of remedying this disastrous situation, aggravated it. It worsened the secularization of Church hierarchies and it seconded the paganization of society. Ferments of Church reform were at work for two hundred years before the Protestant Reformation. Suffice it to mention English reformer John Wycliffe (c. 1328-1384) and Bohemian reformer Jan Hus (c. 1369-1415), both of whom largely foreshadowed Luther’s theses. It must also be remembered that a number of contemporary Catholic saints endeavored to renew the Church from within, for instance, Catherine of Siena (1347-1380), Vincent Ferrer (1350-1419), Bernardine of Siena (1380-1444), and John Capistrano (1386-1456). The Fifth Lateran Council (1512-1517), convoked to condemn the abusive council (conciliabulum) of Pisa (1511), also tackled the question of Church reform. In his opening address, Augustinian Giles of Viterbo called for personal renewal as a way toward institutional reform. In 1513 two Camaldolese monks, Paolo Giustiniani and Vincenzo Quirini, drew up a lofty and concrete reform program and presented it to the new Pope Leo X urging him to intervene. However, the Pope was not up to the task. In 1537, two decades after the failed Lateran Council, and as the Protestant tide had risen beyond the falling-point, a commission of cardinals, appointed by Pope Paul III, drew up fresh reform proposals. In the same year, a general council, open to both Catholic and Protestants, was supposed to convene but never did. At long last, to his enormous credit, Pope Paul III was able to convoke the council that opened on December 13, 1545, in the northern Italian city of Trent, with some thirty Catholic bishops in attendance. On and off, the Council of Trent lasted until 1563. The humanistic mentality, characterized by a historical and above all critical point of view, gave rise to an authentic Christian Humanism. Its major representative was Erasmus of Rotterdam (c. 1466-1536), who devoted his life to laying the groundwork for a new theology based on the study of the sources: Scripture and Church Fathers, especially. The principal spiritual current of Christian Humanism is without a doubt Devotio Moderna. Born in the Netherlands, it spread to Western Germany. In Italy, its influence was limited, except in Venetian territory. Devotio Moderna called for a return to Christian interiority and emphasized the affective dimension of Christian life. An outstanding contribution to the work of such personal renewal was made by the Canons of St. Augustine of Windesheim and the Brethren of the Common Life. They owed their beginnings to Geert Groote and Florentius Radewijns. The masterpiece of Devotio Moderna is the Imitation of Christ, a work ascribed to Thomas à Kempis (1380-1471). In France, a pre-Lutheran and orthodox reform movement was represented by the so-called Evangelism. This movement, akin to Christian Humanism and Devotio Moderna, called for a return to the spirit of the Gospel. Its center was the Circle of Meaux, founded about 1521 by Bishop Guillaume Briçonnet (1472-1534) and made famous by his vicar general, Jacques Lefèvre d’Etaples (c. 1461-1536). In Italy, as well as in other parts of Europe, and reaching back to the 14th century, the so-called Observances took hold. In older religious communities, Observance meant returning to the original ideals of the order. For instance, the above mentioned Bernardine of Siena and John Capistrano were members of the Franciscan Observantines. In 1404 the general chapter of the Servites decreed the revitalization of eremitical life at Monte Senario in Tuscany under the direction of Blessed Anthony of Siena. Through the energetic leadership of Nicholas of Perugia, superior general, (d. 1460), the restored eremitical life at Monte Senario gave rise to the Congregation of the Observance. The Camaldolese experienced this renewal through the Congregation of Hermits of Monte Corona founded by the above mentioned Paolo Giustiniani. Serafino Aceti da Fermo (1469-1540) led a similar renewal for the Canons Regular of the Lateran Congregation. Other religious communities who experienced the same revival were: the Augustinians, with the above mentioned Giles of Viterbo and Girolamo Seripando; the Dominicans, with Sebastiano Maggi in Lombardy and Girolamo Savonarola in Tuscany; above all, the Franciscans: in 1517 the separation between Conventuals and Observants became final and complete and in 1528 the new Franciscan Order of the Capuchins was formed. In Spain (in the wake of the Council of Trent) the Carmelites were reformed through Teresa of Avila and John of the Cross. Reforms associated with the diocesan clergy are still inadequately known, but, for instance, historians list a number of reforming German bishops of the 15th century. Still other reform movements were the Oratories. The main idea of their members (clergy and laity) was to achieve personal sanctity by means of good works on behalf of others. Self-reform was to precede Church reform. In 1497 the Oratory of Divine Love, the first organized form of this movement, was founded in Genoa, by a layman, Ettore Vernazza (d. 1524), a disciple of St. Catherine of Genoa (d. 1510). 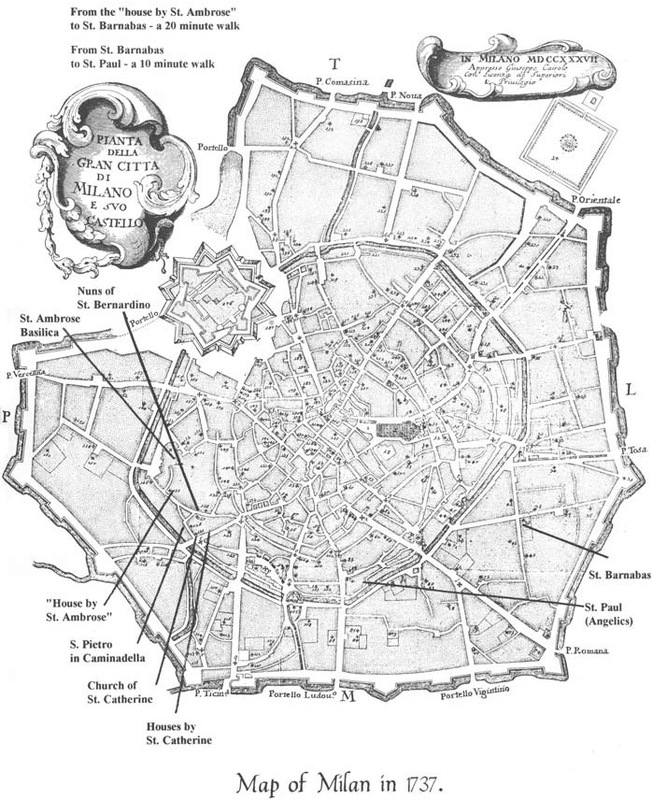 Similar groups were then formed in Rome, Naples, and in the Venetian territory. In 1500 the Augustinian Giovanni Antonio Bellotti (d. 1528) founded the Oratory of Eternal Wisdom in Milan, which was eventually led by Venerable Arcangela Panigarola (d. 1525). An outstanding manifestation of this movement was the Roman Oratory that rose around St. Philip Neri in 1552. By 1575 a new religious community was established, the Congregation of the Oratory (Oratorians or Filippini). The ground where the Observant and the Oratorian movements met gave rise to new religious orders. On the one hand, the revitalization of Monastic and Mendicant orders appeared to be inadequate for Church reform; on the other hand, Oratorian communities seemed to be too elitist and inward looking. There was a need for new associations. They would keep the basic values of traditional monasticism and would build on the Oratorian experience. In addition, they would adopt innovative forms of spiritual and apostolic activities. Thus it was that Oratories, unawares, primed many of their numbers for future religious foundations. At times, the Oratories themselves evolved into new religious orders. This was the case of the Clerics Regular (Theatines), founded in Rome by Saint Cajetan Thiene in 1524; the Sons of Saint Paul (later known as Clerics Regular of Saint Paul or Barnabites), founded in Milan by St. Anthony Mary Zaccaria, in 1532; the Servants of the Poor (later known as Clerics Regular of Somasca or Somascans), founded in Venice by St. Jerome Emiliani in 1534; the Society of Jesus (Jesuits), founded in Paris by St. Ignatius of Loyola in 1534; the Reformed Priests of the Most Holy Virgin (later known as Clerics Regular of the Mother of God or Leonardini), founded in Lucca by St. John Leonardi in 1574; the Clerics Regular Servants of the Sick (Camillians) founded in Rome by St. Camillus de Lellis in 1582; the Minor Clerics Regular (Caracciolini) founded in Naples by St. Francis Caracciolo in 1588; the Poor Clerics Regular of the Mother of God of the Pious Schools (Piarists or Scolopi), founded in Rome by St. Joseph Calasanz in 1597. Similarly, women felt the need for new forms of Gospel living that would enable them freely to serve God and neighbor outside the confines of the cloister. In the early 1530’s the Angelics of Saint Paul were founded in Milan by Countess Ludovica Torelli of Guastalla and St. Anthony Mary Zaccaria. The Society of St. Ursula (Ursulines) was founded in Brescia by St. Angela Merici in 1535. Anthony Mary Zaccaria was born in 1502, in Cremona, a city of Lombardy, fifty miles southeast of Milan. His patrician family probably originated in Genoa. His father, Lazzaro, died when Anthony Mary was two years old. His mother, Antonia3 Pescaroli, a widow at eighteen, devoted herself completely to the education of her son. Little is known of Anthony Mary’s childhood. His biographers have handed down a significant episode. One day, on his way home from school the boy gave his cape to a destitute man. It is not clear whether he studied the humanities in Cremona or in Pavia. What is certain is that in 1520 (incidentally, the year of Exsurge Domine, the papal bull that condemned Luther), he went to Padua to study philosophy and medicine. Before leaving for Padua, he irrevocably bequeathed his whole inheritance to his mother.4 After graduation he returned to Cremona, but never practiced medicine. A historically shadowy Dominican friar, Fra Marcello, became his spiritual director. The twenty-two-year old university graduate deliberately opted for an uncompromising and active Christian lifestyle. Contiguous to the Zaccaria residence, there was a small church, St. Vitalis. Here, Anthony Mary, still a layman, began to gather on Sundays, first, children to teach them catechism; then, adults for Scripture reading and meditation. Later on, his spiritual director steered him toward the priesthood. Under Dominican guidance, Anthony Mary’s theological studies were thoroughly based on the Bible and Church Fathers and Doctors, particularly St. Thomas Aquinas. In January 1529 he was ordained to the priesthood.5 Surrounded by a few close relatives and friends and without the customary solemnity, he celebrated his first Mass in the church of St. Vitalis. According to a charming tradition, angels were seen around the altar. His priesthood enabled him to refine and enhance his previous work in St. Vitalis. His audience evolved into a structured Oratory, possibly styled “Amicizia.” To this group Anthony Mary preached his Sermons. One of his spiritual disciples was Valeria degli Alieri, a distant relative and a member of Anthony Mary’s Oratory. Under his guidance she gathered a group of young women in her house and Anthony Mary became their spiritual director. After his death, they obtained the authorization to become a convent of Angelic Sisters. In addition to his work of spiritual direction and formation, Anthony Mary engaged in active apostolate among the poor and the sick, particularly during the plague of 1528. This exertion earned him the name “father of the city” from his townsmen. Meanwhile, Anthony Mary chose a new spiritual director from the Dominican monastery of Santa Maria delle Grazie in Milan, Fra Battista Carioni da Crema (1460-1534), a disciple of Sebastiano Maggi and a confrere of Gerolamo Savonarola. A few years earlier, Fra Battista persuaded Cajetan Thiene to leave Vicenza and go to Rome to engage in the work of reform. At this time the Dominican friar was the confessor of Ludovica Torelli (1500-1569), Countess of Guastalla.6 Quite probably, it was at his urging that Ludovica chose Anthony Mary as her chaplain. Accordingly, at the direction of Fra Battista, Anthony Mary took up residence in Ludovica’s castle. In 15317 Ludovica, Anthony Mary, and Fra Battista went to Milan where they joined the Oratory of Eternal Wisdom. Here Anthony Mary met two Milanese noblemen, Giacomo Antonio Morigia (1497-1546) and Bartolomeo Ferrari (1499-1544). Toward the end of 1532, he brought to maturity their common project of transforming that waning oratory into a new and original religious community, consisting of three families: priests, sisters, and laypeople. The priests’ family, Sons of St. Paul, was quickly approved by Clement VII on February 18, 1533 with the brief Vota per quae. It was highly unusual to have a new religious family approved before it started functioning. 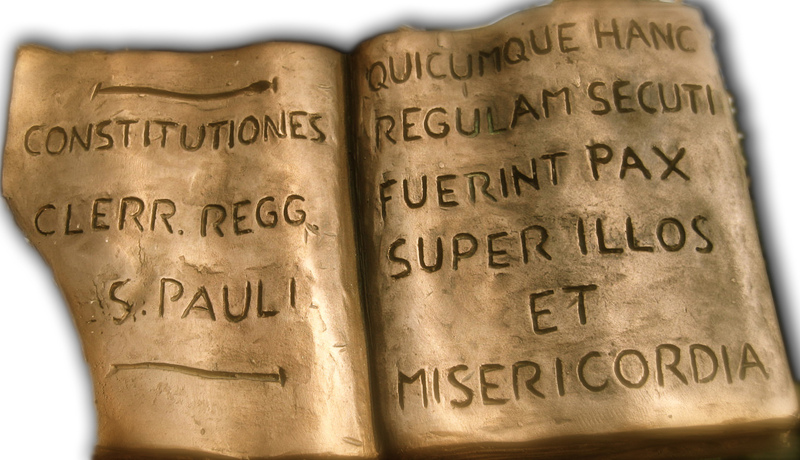 On July 24, 1535, with the bull Dudum felicis recordationis, Paul III accorded them a second approval and their new religious name of Clerics Regular. After they took over the church of St. Barnabas in Milan in 1545, they were given the popular name of Barnabites.8 In Milan, Countess Torelli began gathering in her house young women inclined to the spiritual life. Anthony Mary became their confessor and spiritual director. In this role he steered them toward becoming the female family of his foundation. On January 15, 1535 Paul III with a bull, Debitum pastoralis, authorized them to organize as a religious congregation under the Rule of St. Augustine. The new religious were briefly guided by some Dominican Sisters and adopted their habit. They chose the name Angelics to which Anthony Mary added “of St. Paul.” In October 1535 they settled in their first convent named after St. Paul, located in Milan.9 The formal name of Angelics of St. Paul was approved by Paul III on August 6, 1545. At this time, the Angelics were not cloistered because they shared in the apostolate of the Barnabites. The third family of Anthony Mary’s foundation consisted of lay people and was styled Marrieds of Saint Paul. They shared the same spirituality of Barnabites and Angelics. These three families soon became known throughout Milan because of their lifestyle, their penitential practices, their way of dressing and their preaching which was at times provocative. Some of their initiatives later became customary in Milan, such as the ringing of bells at 3 p.m. on Fridays to commemorate the death of the Lord on the cross. They also actively promoted the solemn exposition of the Most Blessed Sacrament by turn in various city churches (the so-called Forty Hours). married couples to reform the monasteries of that city.11 In May 1539 Anthony Mary was back in Guastalla. The reason for his return is controverted.12 In any event, he was already in poor health and his exertions in Guastalla and the hot and humid climate of the lower Po valley aggravated his condition. The last week of June he felt so ill that he requested to be taken home to his mother in Cremona. Surrounded by his family and closest friends, he spoke his last words and, comforted by the Church’s sacraments, died, as he had predicted, on the octave of the feast of Saints Peter and Paul, July 5, 1539. A pious tradition holds that, before expiring, Anthony Mary was granted a vision of St. Paul. After a Cremona funeral, his body was taken to Milan and buried in St. Paul’s Convent of the Angelics. His saintliness was instantly recognized, and he was venerated as a Blessed until 1634, five years short of a century, which would have automatically given him the title of Saint. Instead, when Urban VIII issued new canonization rules in 1634, Anthony Mary lost the popular title of Blessed. In 1802 his cause was reintroduced. By 1888 three miracles were about to be approved for his official beatification. An alert Barnabite cardinal, Giuseppe Granniello, close to Pope Leo XIII, obtained that Anthony Mary be beatified as a result of the previous 95 years of popular devotion (1539-1634). The three miracles approved on February 14, 1897 finally led to his canonization on May 27,1897. 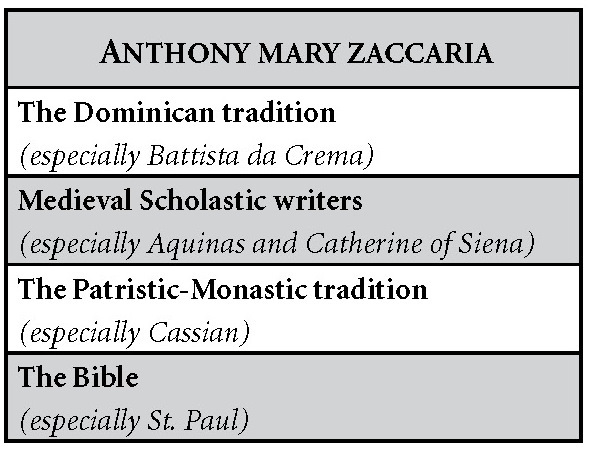 There are few extant writings of St. Anthony Mary Zaccaria: a few letters, a few sermons, and a little more than an outline of13 the order’s Constitutions. In addition, some other writings are ascribed to him. Notably, on top of each handwritten page, Anthony Mary penned an invocation. Usually, it was the monogram “IC XC+,” the initial and last letters of IHSOYC XRISTOC, Greek for Jesus Christ, a graphic symbol from Byzantine tradition. The additional cross means CRUCIFIED. At the head of the Sermons, we find two other symbols. One is “yhs Maria +,” where yhs is the traditional Jesus monogram, first popularized by St. Bernardine of Siena and later adopted by St. Ignatius of Loyola. The other reads “Jesus + Maria.” Moreover, the Constitutions end with “Deo Gratias Jesu Mariae” (Let us give thanks to God, Jesus and Mary). All these invocations reveal Anthony Mary’s devotion to Jesus Crucified and to the Virgin Mary. We have eleven letters authored by Anthony Mary. Four are original manuscripts: Letter II (addressed to Bartolomeo Ferrari and Giacomo Antonio Morigia, January 4, 1531); Letter IV (to Giovan Giacomo Piccinini, January 16, 1534); Letter VI (to Ferrari, October 8, 1538); and Letter VII (to Battista Soresina, November 3, 1538). Of the other seven, we have only copies, though they are very early. Three letters are cosigned by Anthony Mary and Angelic Paola Antonia Negri. They are, Letter VI, Letter VII, and Letter VIII. In addition, there is a twelfth letter: though it bears only Negri’s signature, it was without a doubt penned by Anthony Mary. In fact, the original manuscript of this letter is in Anthony Mary’s own handwriting. One letter is addressed to Fra Battista da Crema (Letter I); two are addressed to the Angelics (Letter V and Letter IX); three to laymen (Letter III, Letter IV, and Letter XI); and four to the Barnabites (Letter II, Letter VII, Letter VIII, and Letter X). One (Letter VI) is addressed to Bartolomeo Ferrari, but it is meant for both Barnabites and Angelics who were doing missionary work in Vicenza. The eleven letters cover a nine-year period, 1530 to 1539. However, there are gaps between 1531 and 1534, and between 1534 and 1537. Letter IX and Letter XII are undated. The last three letters, a remarkable total of 2,200 words penned in the brief space of ten busy days, were addressed to an Angelic, a Barnabite, and a Married Couple. Written respectively on June 10, 11, and 20, 1539, that is, within less than a month of his death, these letters unwittingly became, as it were, his final testament to the three families of his foundation. Anthony Mary’s letters do not belong to any literary genre nor can they be styled “spiritual letters” per se. They were occasional writings dashed off without any concern for style, in plain, totally unadorned language. However, they do contain a wealth of extraordinary spirituality, a fact easily recognized by his earliest biographers. The manuscript codex of the Sermons is kept in the General Archives of the Barnabites in Rome. It was entrusted by Anthony Mary’s mother to the Angelics of Santa Marta Convent in Cremona. 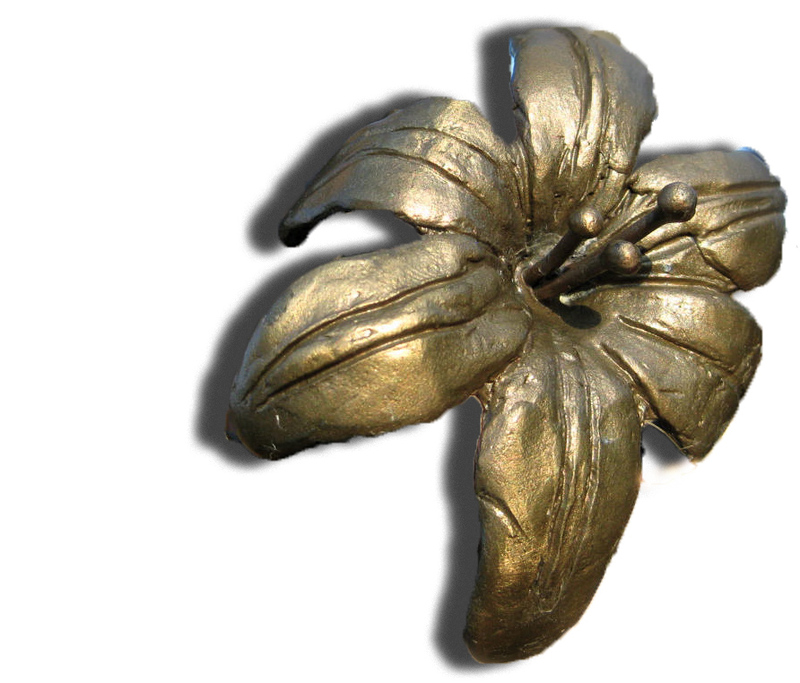 Early Barnabite historian, Father Giovanni Antonio Gabuzio, retrieved it during his stay in that city from 1584 to 1595. It is an index-notebook. When he was a student at the University of Padua, Anthony Mary recorded in it some lines of the philosopher, Averroës. Later on, as a priest in Cremona, he wrote in it the talks on the Ten Commandments, which he gave at the Amicizia Oratory in St. Vitalis church. Clearly, he planned to write out ten sermons, one on each commandment. However, the notebook contains only five sermons: four on the first four commandments. The fifth one is on the commandment, but it is only half finished. Sermon I has an appendix on how nuns should practice the first commandment. Maybe it was intended for the Augustinian Community of Santa Maria Annunziata in Cremona. reveal a mastery of the Scriptures. Recently, a hypothesis was put forth, according to which the Sermons are not liturgical homilies, but opening talks given at the Amicizia Oratory meetings, where all present could then speak. It is noteworthy that Anthony Mary reserves the term “sermon” only to his talk on lukewarmness. We have no original manuscript of the Constitutions. We only have a very early copy. The Constitutions is no more than an extended outline. It was never approved nor promulgated, hence, it was never binding. In all probability, it is a reworked translation of a previous Latin outline by Fra Battista, the so-called “Primitive Constitutions.” It was a basic text worked on by the first Fathers toward a definitive text. The available text consists of 19 chapters, but a close scrutiny points to several layers of composition. There is a conclusion at the end of Chapter 16; another one at the end of Chapter 18; and a third one at the end of Chapter 19. This is evidence that the text went through several writings and underwent multiple reworking. A letter of Father Nicolò D’ Aviano, dated October 10, 1570 (even as the definitive Constitutions of 1579 were being redacted), informs us that three chapters of the Constitutions were without a doubt authored by Anthony Mary himself. They are Chapter 12: “Formation of Novices”; Chapter 17: “Signs of Deteriorating 17 Religious Life”; and Chapter 19: “Qualities of a Reformer.” In addition, Anthony Mary’s hand can be recognized, more or less, throughout the entire document. The Constitutions is a document of laws. Hence, its literary genre is juridical. However, in Anthony Mary’s additions, the peremptory style turns exhortatory. We may even state that this change of style helps to locate Anthony Mary’s interpolations in the original text of Battista da Crema. Giovanni Antonio Gabuzio in his Latin history of the Barnabites14 relates the full text of the above mentioned Address of October 4, 153415 in which Anthony Mary exhorted his community to trust in God in the midst of adversity. It is a free rendering by Gabuzio in his classic Latin style, with a wealth of Pauline quotations.16 It was based on the account of first-hand witness, Father Battista Soresina (1514-1601), who insisted that Anthony Mary’s exhortation was indelibly stamped in his memory. However, a close examination reveals only partial correspondence between Gabuzio’s paraphrase and Soresina’s brief account in his Attestations of Father Battista Soresina about the Life and Death of Rev. Father Anthony Mary Zaccaria: “Father Zaccaria gathered all the Fathers and Brothers of his Congregation and addressed them most ardently about the benefits of trials and tribulations.” He concluded by saying that in order to preserve his vineyard, the Lord was placing around it a hedge of insults and indignities. The authorship of the famous Detti Notabili (Notable Sayings), a recognized masterpiece of 16th century Italian Spirituality, is a moot question. A collection of 871 sayings selected from the writings of several authors, it treats of various facets about the spiritual life. It was first published in Venice in 1538. Its editor, former Barnabite Giovan Paolo Folperto, describes it as a series of quotations compiled by “Reverend Father Anthony Mary Zaccaria of Cremona.” First Barnabite historians, Mazenta, Tornielli, Gabuzio, did not agree with Folperto. They rejected Anthony Mary’s alleged authorship as spurious. As a matter of fact, nothing in the Barnabite tradition proves Anthony Mary’s alleged authorship as authentic. On the other hand, it is historically ascertained that, even among Barnabites, a Book of Sayings was attributed to Fra Battista da Crema. In addition, Serafino Aceti de Fermo, in his works, quotes several sayings of Fra Battista, which by and large correspond to the sayings in Detti Notabili. It must be remembered, however, that the controversial Fra Battista was twice condemned by the Church for Semi-Pelagianism, 17 in 1552 and 1564. Probably, in order to save Detti Notabili19 from the same fate, Folperto changed the work’s title and ascribed it to unassailable Anthony Mary. However, a compilation such as Detti Notabili hardly fits Fra Battista’s modus operandi. He preferred to write treatises. On the other hand, Anthony Mary liked to collect aphorisms. Typically, as we have seen, in his university notebook, he wrote down philosophical quotations. Some suggest that, after Fra Battista’s death, Anthony Mary extrapolated quotations from his works and arranged them thematically. However, others hold that, both in style and content, these sayings are entirely original. Up to the beginning of this century, the only source that practically put the Barnabites and the Angelics in touch with the spirituality of their Founder was the apocryphal Detti Notabili. First edited, as we said, in Venice in 1583 by ex-Barnabite Folperto, the Detti Notabilli was reedited eleven times, including the Florence edition of 1936 by the eminent Barnabite bibliographer, Giuseppe Boffito (1869-1944). Besides the Detti Notabili, only the Letters were published but in a random and incomplete fashion. The first one to publish some of the Letters in Latin was Father Anacleto Secco, in 1682, in Milan. These were: Letter II, Letter III, part of Letter VI, and Letter XI. The same letters were retranslated from Latin into Italian by Father Francesco Luigi Barelli in 1703, in Bologna. Tranquillino Moltedo, Florence, 1897: Letter II, Letter IV, Letter V, Letter VI, Letter VIII, Letter IX, Letter X, Letter XI; Guy Chastel, Paris, 1930: Letter III, part of Letter V, Letter VI, Letter VII, Letter VIII, Letter IX, Letter X, Letter XI; Orazio Premoli, Rome, 1913: Letter IX and Letter XI; Giuseppe Boffito, Florence, 1937: a critical edition of Letter II. Special significance must be attributed to the publication of Letter XI in 1697, in Florence, where the Barnabite Cardinal Jacopo Antonio Morigia was bishop. The letter was presented as written by “Blessed Father Anthony Mary Zaccaria,” and the publication carried the approval of the proper Superiors. In 1634, it will be remembered, Anthony Mary lost the title, Blessed, because of Urban VIII’s new canonization decree. The public and authorized use of the title fifty-three years later goes to prove the authenticity of the popular devotion to Anthony Mary. In 1894 in Paris, the entire corpus of the Letters was published in French by Father Ignazio Pica. The entire original text of the Letters was published for the very first time by Father Orazio Premoli in Rome in 1909. In 1948 Father Achille Desbuquoit published a second French edition in Kain, Belgium. At last, after an accurate textual revision, all Letters were published in Bologna in 1952 by Father Giuseppe Cagni, on behalf of the Barnabite Community of “San Luigi School,” and as part of the “Collana di Spiritualità Barnabitica” (Collection of Barnabite Spirituality). In 1991, Father Franco Monti edited the first translation of the Letters in contemporary Italian. The entire corpus of the Sermons was published for the first time by Father Salvatore De Ruggiero as an appendix to his Italian translation of Anthony Mary’s French biography by Guy Chastel, (Brescia, 1933). Unfortunately, he utilized a seriously flawed copy from the General Archives. In 1952, Fathers Giuseppe Cagni and Franco Ghilardotti prepared a critical edition of the Sermons which was published in the Archivio Italiano per la storia della pietà, Vol. II, Rome, 1957. In 1996, Fathers Enrico Sironi and Franco Monti published another one-volume edition in Italian, a literal copy of the Bologna edition of the 1950’s. Unfortunately, a definitive, exhaustive, critical edition of the writings is still lacking. A Spanish edition was published in Santiago, Chile in between 1983 to 1984. A Portuguese edition was published in Rio de Janeiro, Brazil, in 1992. A working edition in English of all Anthony Mary’s writings was edited by Father Frank Papa in Manila, Philippines, in 1991. The present accurate English translation of all the writings aims primarily at familiarizing the North American public with the personality and spirituality of St. Anthony Mary Zaccaria. This is the basic teaching of all the Sermons. It is particularly explained in Sermon I: We do not progress in the spiritual life “because we do not follow the proper order of the spiritual life and because we want to be teachers before being disciples.”23 The order to be observed in the spiritual life consists in keeping the commandments, which must precede the pursuit of perfection. A more profound articulation of this teaching is found in Sermon III: God “in His goodness and in spite of us—His unfaithful and insincere servants, even His enemies—... gives us so many good things; nevertheless, He is unwilling to give the gift of perfection, the experience of His sweetness, and the knowledge of His secrets except to His friends and faithful disciples,”24 that is, to those who keep the commandments. On the other hand, if it is true that, if “you do not want to pay Him the promised tribute [keeping the commandments]... neither... will He grant you perfection... nor the capacity for accepting and fulfilling the evangelical counsels.”25 It is equally true that “whoever wants to avoid the danger of failing to keep the commandments must follow the counsels.”26 Definitely, this is a most intriguing case of circularity! As we have just learned, “the primary requirement in God’s ways is expeditiousness and diligence.”33 However, on our way to God we are slowed down by lukewarmness that makes us say: “It is enough for me to honor God thus far;”34 “This Is enough for me—that I save my soul by keeping the commandments. That’s enough, and I don’t care a bit for all this talking about great holiness!” 35 “It’s enough to do this, so why bother about high perfection!” 36 Lukewarm people delude themselves. They defy a fundamental norm of the spiritual life. “Not to make progress is to fail.”37 “Not to go forward on the way to God, and to stand still, is indeed to go backward.”38 Lukewarmness is no secondary detail in the spiritual life. It affects the very essence of Christian life. More than once, Anthony Mary identifies lukewarmness with a Pharisaic attitude. In Sermon IV, Pharisaic people are described as being virtuous but loveless. So lukewarmness may be described as the opposite of love. It does coincide with hypocrisy, which simulates the spiritual life but lacks inner convictions. Without a doubt, the primary source of Anthony Mary’s spirituality is the Bible. This Biblical primacy finds confirmation in the chapter “On Studies” of the Constitutions: “They shall study Sacred Scripture and relish it so avidly as to come to understand it fully, thus reaching its hidden senses, especially those which provide moral edification.”47 Obviously, Anthony Mary’s approach is far different from that of his contemporary secular humanists and Protestant reformers. His is the traditional monastic approach of Lectio Divina. Recent scholars have established that, counting outright quotations, in Latin and Italian, paraphrases, allusions, and, possibly, parallels, Anthony Mary’s Biblical references, in his limited amount of extant writings, exceed 1700. Among these, over 800 belong to the Pauline corpus. Unquestionably, Paul is the foremost source of Anthony Mary’s spirituality. The Apostle was his constant point of reference. For him Paul was not only a saint to be prayed to, but also and above all, a model to be imitated, a role model of personal holiness and active apostolate. Anthony Mary closely adhered to Paul’s doctrine, both to its content and verbal expression. It has been said that “Anthony Mary’s language reflects Paul’s much more than the Gospel’s.” How did Anthony Mary become such an ardent disciple of Paul the Apostle? The traditional explanation pointed to his membership in Milan’s Oratory of Eternal Wisdom. True, this Oratory was influenced by French Evangelism, a reform movement which emphasized Paul’s role in Christian doctrine and life. It will be recalled that the center of French Evangelism was the Circle of Meaux, founded in 1521 by Bishop Guillaume Briçonnet, Jr., son of Cardinal Guillaume Briçonnet, Sr. Ten years earlier, the Cardinal and his two sons, Bishop Denis and Bishop Guillaume, were in Milan and did participate in the meetings of the Oratory of Eternal Wisdom. However, there is no documentary proof of any direct connection between Anthony Mary and the Circle of Meaux. As a matter of fact, Anthony Mary moved to Milan only in 1531. In addition, nothing in his writings betrays a dependence on Christian Humanist circles of the time. The sources of Anthony Mary’s Paulinism must be searched elsewhere. Actually, we do have two clear statements that are very much to the point. 1. The first one is found in the Constitutions: “Besides Sacred Scripture, they may read any Doctor approved by the Church and the books of Church Fathers, provided that their writings do not disagree with the teachings of Holy Scripture and of the Holy Doctors of the Church. But in a very special way let them find greater delight in reading those books which deal with the formation of good habits, the perfection of Christian life, and the true imitation of Christ, as, for example (according to what St. Benedict suggests in his Rule), the Collationes of John Cassian; the Lives of the Holy Fathers, above all, those written by St. Jerome; John Climacus; Abbot Isaac of Syria; The Mirror of Perfection; The Mirror of the Cross; On the Cantica of Blessed Bartholomew [of Breganze] O.P. ; St. Bonaventure; The Letters and The Dialogue of St. Catherine of Siena; the books of our Father, Fra Battista da Crema, and other books of that nature which, if they are well understood and put into practice, will surely lead us to perfection.”48 The above is a rather comprehensive list of the sources of Anthony Mary’s spirituality. (a) Belonging to the Monastic tradition: St. Jerome (d. 420), author of Life of Church Fathers; John Cassian (d. 435), author of Collationes and Institutiones; St. Benedict of Nursia (d. 547), author of the Rule for Monasteries; John Climacus (d.650), author of The Heavenly Ladder; Isaac of Nineveh, a Nestorian writer of the seventh century. Some fragments of Isaac’s Latin writings were published in Venice about 1500. (b) Belonging to the Franciscan tradition: St. Bonaventure (d. 1274), author of The Mind’s Road to God and other mystical booklets. It is not clear whether or not he is the author of Mirror of Perfection. This probably is either the work of Henry Herp (d. 1477), published in Venice in 1504 with the title, Mirror of the Life of St. Francis, or, less likely, the earliest biography of St. Francis by Brother Leone. (c) Belonging to the Dominican tradition: Bartholomew of Breganze (d. 1270), author of a Commentary on the Song of Songs; Dominic Cavalca (d. 1343), author of Mirror of the Cross and popularizer of Life of the Holy Fathers; St. Catherine of Siena (d. 1380), author of hundreds of letters and of the Dialogue on Divine Providence; Fra Battista da Crema (d. 1534), author of Way of Open Truth, 1523; The Knowledge of, and Victory over, Oneself, 1531; Divine Philosophy, 1531; Interior Mirror (published posthumously, 1540); Book of Sayings (published in 1583, if it coincides with Detti Notabili). Apart from contemporary Fra Battista, all cited authors belong to previous centuries. Unfortunately, we lack a thorough and scholarly analysis of the specific passages of these authors that directly relate to specific teachings of Anthony Mary. 2. The second statement pertaining to the sources of Anthony Mary’s spirituality is in Father Soresina’s Attestations: “In addition to the teaching of St. Paul, he had the highest regard for the Collationes and other books of John Cassian. In our spiritual conferences he made much use of Cassian, by having us read some passages of his writings, by commenting on them and thus deriving wonderful benefit for everyone.” Actual correspondence between passages from Cassian and passages from Anthony Mary at times are amazing. For example, the passage of Sermon V on anger and the passage of the Institutiones, 8, 1. Their identical biblical quotations are written out in identical sequence. Why was such dependence by Anthony Mary on Cassian never pointed out earlier by his biographers? Most probably, they felt the need to shield Anthony Mary from any suspicion of Semi-Pelagianism. That suspicion cast a dark shadow over Fra Battista and, reflectively, on the “Sons of Paul,” the early Barnabites. In any case, despite a few passages in Anthony Mary’s writings that are more or less open to the charge of Semi-Pelagianism, the monk and ascetic Cassian was the most influential figure for the entire generations of monks. Just to mention a few prominent people Cassian influenced, St. Benedict, St. Thomas Aquinas, the writers of Devotio Moderna, and St. Ignatius of Loyola. Through him, the Wisdom of the Desert Fathers was preserved for all times. Cassian was defined as “a disciple in the East and a master in the West.” To our great joy, Cassian is a markedly Pauline author. No wonder: one of his teachers was St. John Chrysostom, the author of over 200 homilies on Paul’s letters. It is noteworthy that Chrysostom’s 32 homilies on the Letter to the Romans are by far the most remarkable patristic commentary on this letter and the finest of all his works. Rather than being a product of humanistic time, Anthony Mary belongs by right to the whole Catholic tradition. He did not represent a break in the Church but a continuity. He was a reformer within the Church tradition, not a revolutionary. Humanists and Protestant reformers claimed “to return to the origins,” but instead they created a discontinuity in the Church Tradition and subverted its very nature. Cardinal Joseph Ratzinger, now Pope Benedict XVI, when he was Prefect of the Congregation of the Doctrine of the Faith, outlined Anthony Mary’s role in the history of the Church in a manner which appeared to us to be perfectly on target. This was at the end of a liturgy held on May 27, 1997 in St. Charles Borromeo church in Rome on the occasion the first centennial of Anthony Mary’s canonization. This is the gist of the Cardinal’s remarks: In the 16th century, two persons shared the same starting point, but in the process reached diametrically opposite outcomes. Both found their initial inspiration in St. Paul. However, one of them, Luther, ended up by dividing the Church. The other one, Anthony Mary, a true disciple of Paul, remained faithful to the Church and contributed to her true reform.49 We might add that their different outcomes depended on their different approaches. Even sympathetic students of Luther, a man of deep faith and a great theologian, admit that, at least in some statements of his doctrine of justification, Luther did lapse into one-sidedness and exaggeration. At the very least, some formulations of his doctrine remain open to misunderstanding and need supplementation and correction. We believe that this is due to his merely subjective approach which biased his basically commendable desire to return the Church to the Gospel of Jesus Christ as it was experienced in Sacred Scripture and especially4. 1 Thomas Bokenkotter, A Concise History of the Catholic Church (New York: Doubleday, 1990) 185. 2 Hubert Jedin, A History of the Council of Trent (London: Thomas Nelson and Sons, 1957) 2. 165. 3 For Antonia, instead of traditional Antonietta, see Giuseppe M. Cagni, “Spunti e documenti per una biografia critica di Sant’ Antonio M. Zaccaria,” Barnabiti Studi 14 (1997) 404, n. 45. 4 Cagni, “Spunti,” 520, Documento 41. For the real meaning of this bequeathal see Cagni, “Spunti,” 424. 5 See Cagni, “Spunti,” 421. 6 Guastalla was a county seat in the Venetian domain, located 90 miles southeast of Milan and 40 miles southeast of Cremona. 7 For the year 1531, instead of the traditional 1530, see Cagni, “Spunti,” 426. 8 See Letters, n. 105. 9 See map, p. 89. 10 Cf. Giovanni Antonio Gabuzio, Historia Congregationis Clericorum Regularium Sancti Pauli ab eiusdem primordiis ad initium saeculi XVII (Romae: Salviucci, 1852). Although written in 1620, the Historia was published only in 1852. See below, p. 13. 12 See Cagni, “Spunti,” 438. 14 See n. 10 . This address was also published by Anacleto Secco in his De Clericorum Regularium S. Pauli Congregatione et Parentibus Synopsis (Milan: Francisco Vigono, 1682). 16 1 Cor 4:10; Rom 5:3; 1 Cor 1:26; Heb 12:1; 2 Cor 6:4. 17 The doctrine that assigns a greater role to man’s will than to God’s grace in the work of personal salvation. 18 Sermon VI, p. 46. 20 Sermon IV, p. 34. 21 Sermon VI, p. 48. 22 Sermon V, p. 44. 23 Sermon I, p. 8. 24 Sermon III, p. 23. 25 Sermon III, p. 23. 26 Sermon VI, p. 51. 27 Sermon V, p. 43. 28 Constitutions, ch. 18, p. 31. 29 Ibid. ch. 12, p. 21. 30 Ibid. ch. 18, p. 34. 31 Letter II, p. 46. 34 Constitutions, ch. 12, p. 21. 35 Sermon VI, p. 51. 36 Constitutions, ch. 17, p. 29. 37 Constitutions, ch. 18, p.
38 Sermon VI, p. 52. 39 Sermon IV, p. 29. 40 Letter V, p. 46. 41 Sermon VI, p. 49. 42 Constitutions, ch. 12, p. 20.